Any developing facility-acquired bedsore (pressure sore; decubitus ulcer; pressure ulcer) can be a sign of neglect or mistreatment in a nursing home setting. Sadly, the nursing home neglect attorneys at Rosenfeld Injury Lawyers LLC have represented many residents victimized by the neglect or mistreatment of their caregivers who failed to take appropriate actions at the first sign of a developing bedsore to ensure it healed completely. Nursing home residents are highly susceptible to acquiring bedsores due to immobility or lack of assistance from competent caregivers. Continuous pressure to bony areas of the body including the back, heels, buttocks, back of the head, shoulders and shoulder blades can easily restrict blood flow to the skin and underlying tissue and cause a wound to appear in as little as two hours. Without repositioning of the body, a bedsore can become an open wound as skin deteriorates and eventually dies within a day or two. 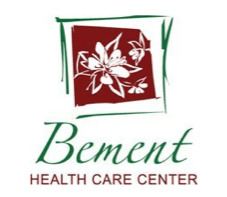 Bement Health Care is part of the Petersen Health Care network with services that include their Pathways Rehabilitation Program for physical, occupational, and speech therapies. They also offer Alzheimer’s care, memory care, skilled nursing care, hospice, and behavior services programs. 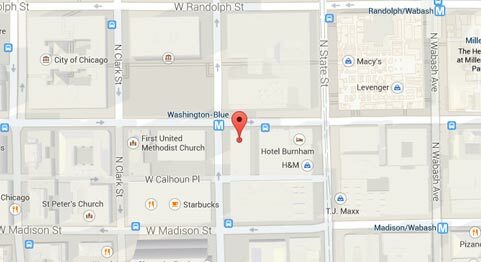 Both the United States government and the state of Illinois routinely update their national nursing home databases to use as a comparative tool when looking for information involving facilities nationwide. Information from the star rating summary system is posted on numerous websites including Medicare.gov. Currently, Bement Health Care Center maintains an overall two out of five available star rating compared to other facilities throughout the US. This includes two out of five stars for quality measures, staffing issues, and health concerns. One incident involved a resident at the facility who “requires extensive assistance with bed mobility.” In addition, the resident’s Skin Assessment documents that the resident “are at high risk for pressure ulcers.” The state investigator noted that the resident was observed at 4:45 PM on 03/08/2016 “lying in bed with a blanket covering [the resident’s] legs and feet. At that time, [a Certified Nursing Assistant (CNA)] pulled down [the resident’s] covers to expose [their heels which] were not floated or off-loaded.” The resident’s “heels were directly on the bed” placing the resident a greater risk for developing a bedsore or worsening of an existing bedsore. If your loved one has suffered from a facility-acquired bedsore or any other illness while residing at Bement Health Care Center or any other Illinois nursing home, Rosenfeld Injury Lawyers LLC can provide immediate legal assistance. Our dedicated qualified team of Bement elder abuse attorneys has the expertise and experience to assist you in seeking the financial compensation you deserve. Contact our Piatt County nursing home abuse law offices today at (888) 424-5757 and speak with an attorney to discuss the merits of your case. We accept all personal injury claims and nursing home neglect cases through contingency fee agreements, so no upfront payment is ever required.